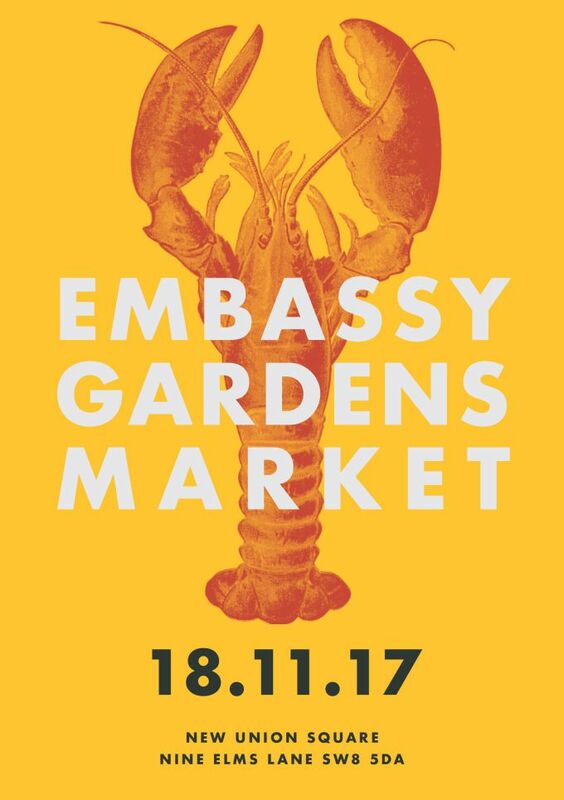 Embassy Gardens announces the launch of a new street market at New Union Square. Open from 10.00am to 5.00pm on Saturday 18th November 2017, the market will showcase a sumptuous selection of artisanal food and drink from some of London’s finest vendors. In addition to the wide array of seasonal produce, guests will be treated to live music from Steelstrum, an innovative duo with a unique approach to live performance. The duo combines Steel Pan, Acoustic Guitar and Percussion to recreate well-known chart music and timeless classics. Steel Strum will be joined by Harry Pane (Blues/country), Beatboxer Beatfox and Alice Auer (Country/ folk) to complete the line-up of artists. The market will kick off the festive season at Embassy Gardens. With Thanksgiving the following week the market will celebrate the areas new American neighbours with the imminent opening of the US Embassy. In addition there will be a Christmas light switch on moment at the giant Christmas tree which will sit in Union Square for the duration of the festive season. The market stalls will be predominately food based with a couple of craft stalls open too, there will be hot and cold food on offer with a few US themed providers along with mulled wine. The Embassy Gardens Market is a collaboration with Shepherds Markets, London’s leading market curator. Shepherds Markets boast 17 markets across the capital, each championing local producers of fine food and drink. Their flagship market at Duke of York Square is a testament to this ethos and has become one of the capital’s most loved, offering small producers, startup businesses and farmers the chance to share their passion and expertise with the public.